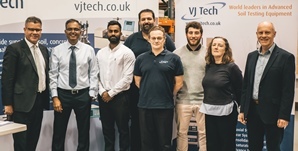 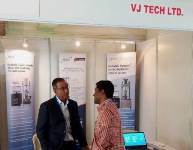 VJ Tech Limited : Soil & Rock Testing Equipment. 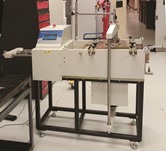 Pro Series Instruments are now available for viewing on our website. 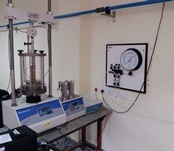 We manufacture & supply Advanced Dynamic (Cyclic) Triaxial, Shear & Resilient Modulus Systems. 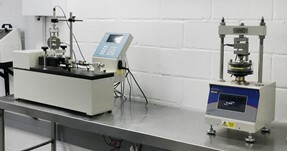 Our Training Centre provides everything required by the customer for training and support in soil testing. 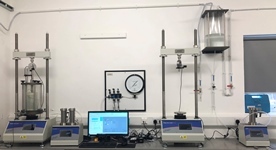 Among the most popular products last month (pictured from left to right) were the Compact Pro System, the ACONS Pro Automatic Consolidation System, the ACONS Pro Constant Rate of Strain (CRS) System, the Dynamic Simple Shear with Confining Pressure System and the Large Shear Pro System.